Fishermen’s News Online Feb 19, 2019. Economic activity at Alaska’s False Pass is expected to ramp up considerably this summer as Silver Bay Seafoods opens its processing facilities in June. 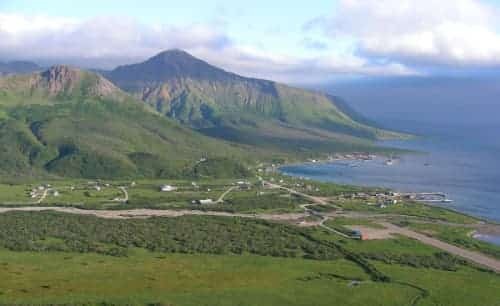 Currently there are about 200 seasonal employees working at the only processor in town, False Pass Seafoods, formerly BPS, owned by Trident Seafoods and APICDA Joint Ventures, a subsidiary of the Aleutian Pribilof Island Community Development Association. The number of processor workers is expected to jump to about 500 once Silver Bay comes on line. Silver Bay Seafoods is an integrated processor of frozen, headed and gutted salmon products for domestic and export markets. The company, which began as a single salmon processing facility in Sitka in 2007, also has processing facilities at Naknek, Valdez, Sitka, Craig and Metlakatla.